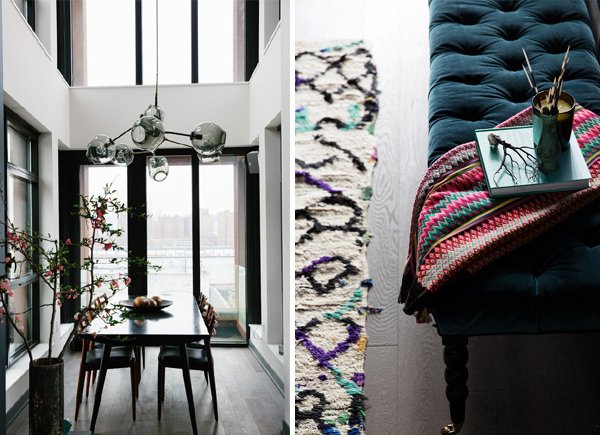 You don't need soaring ceilings and a Manhattan view to incorporate some doable decor inspired by Athena Calderone's Brooklyn apartment. Calderone, an interior designer, is practically a neighbor. 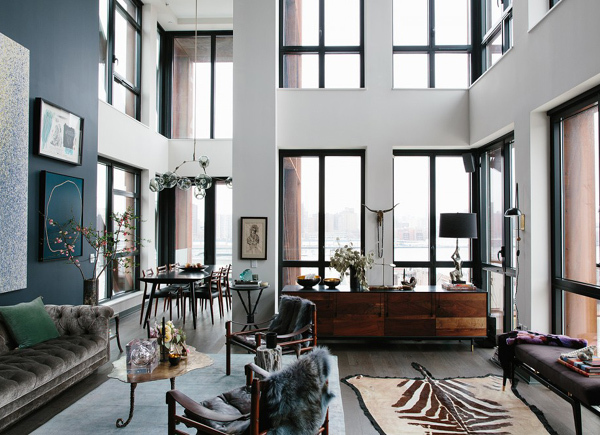 Not withstanding that my one-bedroom Brooklyn Heights pad could fit into the foyer of her DUMBO rooftop apartment, I think we have a similar aesthetic. 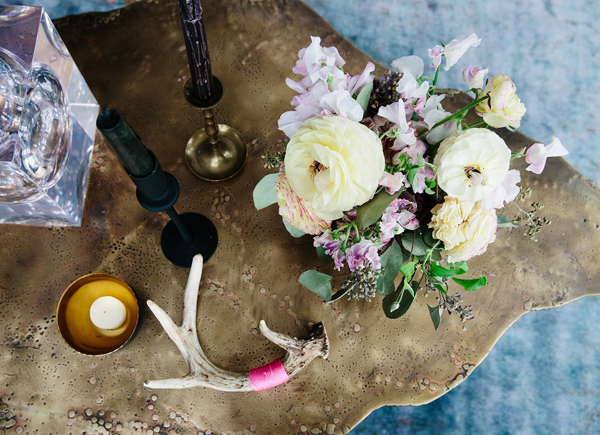 Here are some of her attainable decor tips, plus a few of my own. My tip: Don't be ashamed of your IKEA. The bed above is a Malm. Her tip: Combine polarizing elements . . . like a clean environment with eclectic oddities. My tip: Lean heavy on the clean environment. We've all got eclectic oddities out the wazoo. Her tip: Your living room should make a statement. You spend most of your time there. My tip: Go for some huge art. Even the dumbest paint splat will look interesting if it's enormous. 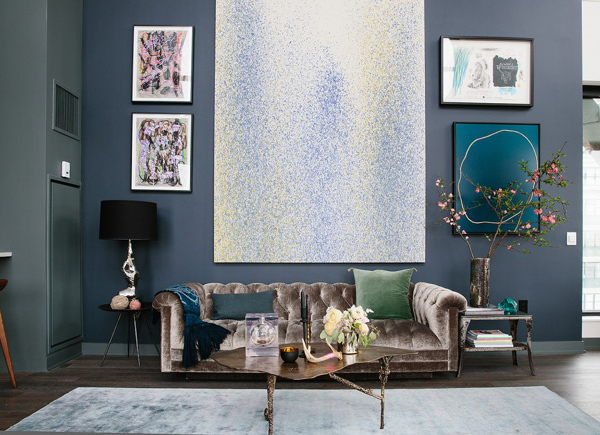 Her tip: You can transform a room and create a moody elegance with a statement color. My tip: Keep your color palette limited. 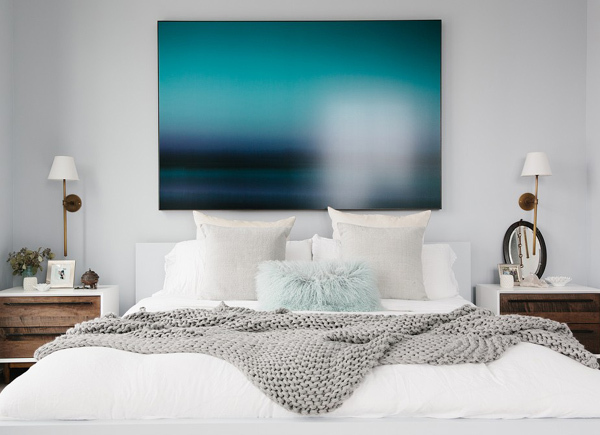 Her tip: Paint your bed the same color as your walls for a streamline look. Is Athena's apartment your style? Yeah. Isn't that coffee table amazing. And just enough color in there.